The Sipping Season: Tripping Through the Biggest Wine Tastings & Trade Fairs – What's in that Bottle? Well, well, well, it’s the drinking season isn’t it? By that I mean, the season of ginormous wine trade fairs and tastings. In the last couple of months, I’ve had the pleasure of attending the Union de Grand Crus de Bordeaux tasting starring 136 Bordeaux wineries pouring their 2016 wines, Tre Bicchieri, with 106 importers pouring more than 150 wines that received the coveted “Three Glasses” award from Gambero Rosso (uh huh … the “big red shrimp,” in Italiano, go figure), followed by the mac daddy of them all: ProWein in Dusseldorf, Germany, where nearly 7000 exhibitors from 64 countries greeted 60,000 attendees from 133 countries! And oh, right! Let’s not forget VinExpo New York, with more than 325 exhibitors in early March. Sheesh almighty and what the what? Why was I there? Well, partly, shopping for bulk wines for a company I work with. And partly, to learn, taste, connect with old friends and make new friends. The wine world is small, yet I never cease to be delighted when I see and meet so many wonderful, warm people. A lot of my media and blogger friends look for whatever is new at these events. They’re spotting trends, or emerging categories that look like they might be ripe for a U.S. wine list take-over. Other people seek out the classics or maybe the most highly rated wines, or the small, independent wineries that are pouring something interesting. Me, I like to try things that are new to me, but I also like to compare different regions and varietals against each other. To share a bit of the inside scoop, following is a recap and one key take-away from each event. Grand Crus de Bordeaux Tasting Wowza, this one has to be one of my faves. I get to speak French, I get to taste and compare the wines from all the Bordeaux regions — St. Emilion (bonjour, Merlot!) is my personal favorite. But you can literally cruise the room, going through the entire Left Bank including Graves (heavenly white wines, starring Sauvignon Blanc, often blended with Semillion), Pessac Leognan, Pomerol (back to the Right Bank, another mainly-Merlot place), Listrac-Médoc, Haut-Médoc, Médoc, Marguax, Saint Julien, Saint-Estephe and Sauternes and Barsac. The Big Bordeaux Take-Away: the 2016 harvest was AMAZING! People were freaking out about the 2015 harvest – because it was the first great harvest in nearly five years – but the ’16 rivals it. The big difference: the ’15s are more blowsy-wowsy, a little showy – fruit-forward, very much suited to American palates, while the ’16s show a little more terroir, a little more earth, a bit more tannin. On to Tre Bicchieri! Holy macaroni, this tasting is big. Media get in one hour early, which is huge because this things gets cuckoo quickly, and after the first hour, I have to switch from blogger to wine-company marketing head. The whole thing is organized by importer or distributor, which is interesting because you get to know which companies represent which wineries, but there also are lots of independent Italian producers there who are seeking distribution in the U.S. I like talking to these people the most. Who knows, maybe I can introduce them to one of my distributor friends and make a love connection! The Big Take-away: I was very happy to see a decent amount of Lambrusco from Emilia Romagna! With more than 350 authorized wine grapes in Italy (plus hundreds more “unauthorized” grapes), there’s always something new to discover in Italian wines. I love Lambrusco (it is dry, fruity, frizzante and FUN, especially with pizza, and other casual food like burgers and BBQ) and I was happy to see more than one exhibitor pouring it. I also was thrilled to see Nero di Troia – it’s a fun, juicy, powerful red wine (that I saw by the glass all over New York recently; hint, hint, Chicago). Plus I saw fun whites like Falanghina and Greco di Tufo from Campania, Fiano di Avellino from the southern coast. Ask your wine dude or dudette at your local shop about some of these interesting and delicious Italian varietals. VinExpo – The Big Take – Away – I kind of sucked at taking pictures at this event, because I was really working it hard for two days at this event, talking, talking, talking to producers from Spain, France, Italy, Slovenia – yes, Slovenia! It’s right next door to the dynamite northeastern Italian region of Friuli and their wines are freaking delicious! And how ’bout that crazy Barbie-in-a-ham-dress thing? There was a guy slicing Spanish jamon and he was working it hard, too! ProWein Sweet mother of schnitzel, this is the most overwhelming wine trade fair in the world. For three days, Dusseldorf is the epicenter of the wine world – everyone is there: the media, all the wine and spirit companies from all over the world, all the buyers, all the sellers. We had back-to-back meetings, talking with producers about importing wine in 1,000-litre containers for custom label and wine in kegs and cans, but along the way, you stumble on things like …. wine from China (ack! ), and then Zibbibo (aka Muscat of Alexandria, sporting a sweet honey aroma but a dry wine with a cantaloupe personality and bracing acidity. Or a beautiful Pecorino (not the cheese, the white wine from Italy! ), throwing tropical fruit, minerals and a spoonful of salt in your face, or cool-climate Chardonnay from Australia’s Orange district – buttery, but not too much, dripping with ripe peaches. And the people! You meet these somewhat reserved and formal Europeans who are like, “Uh, no, we do not sell bulk wine.” But then you get to talking and all of a sudden smiles are happening and questions and answers and interests are flying back and forth and not only have you made a new friend, you have a potential new partner. The Big Take-Away: ProWein is where the action is when it comes to the global wine market. Whatever you are selling or looking to buy, it is at ProWein. You will get all your steps in stomping from Hall 9 to Hall 17 and every hall in between, but you will get to meet people and taste wines that you otherwise would never get to do. So there you have it. 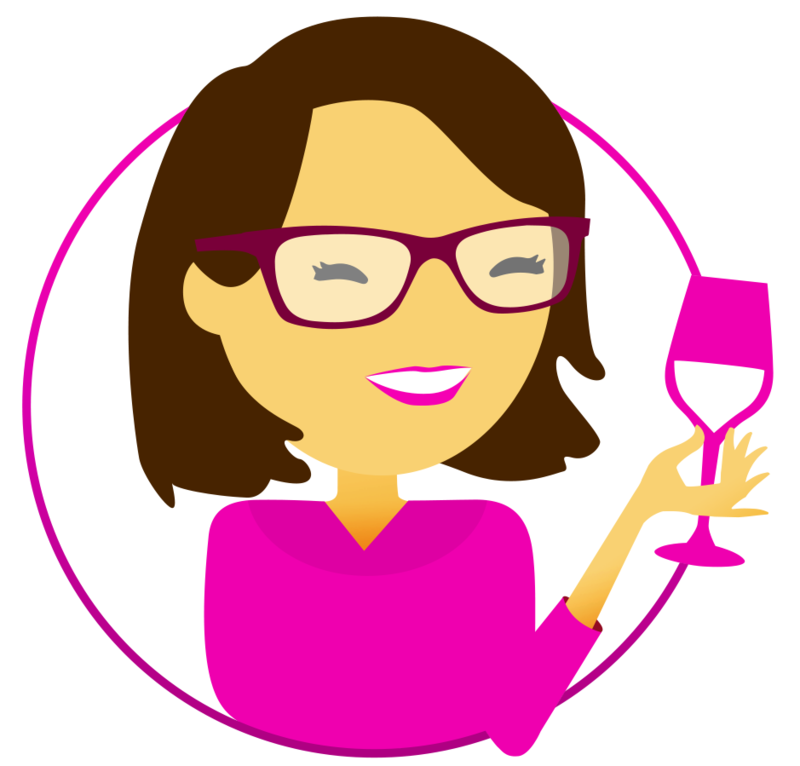 I’m so happy to attend these events and my hope is that by sharing a few discoveries and surprise here, you will be inspired to dig a little deeper at your local wine shop or online outlet to try something new. Cheers! Previous Vintage Variation: What is it & Can We Taste It?